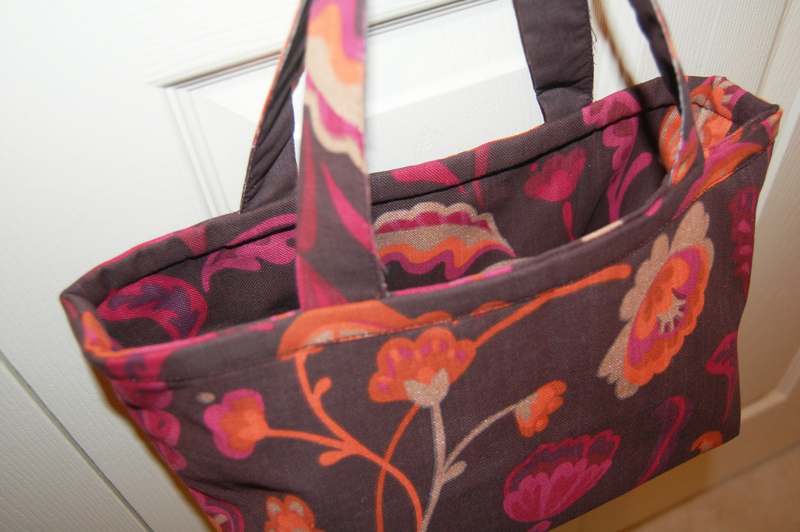 shopping | Sew Lindsay, Sew! 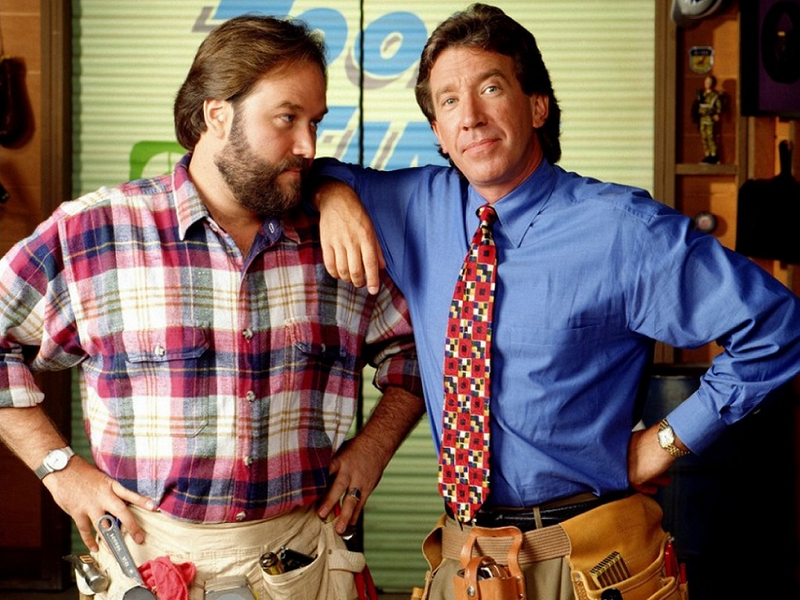 Did you know I’m obsessed with hobbies? Sewing aside, I’ve also participated endurance events, earned an advanced SCBUA certification and spent countless hours fiddling with my beloved DSLR camera. I’ll try almost anything – trampoline workout classes, indoor skydiving, surfing lessons or those trendy “let’s all paint an elaborate picture together while we drink wine” classes. 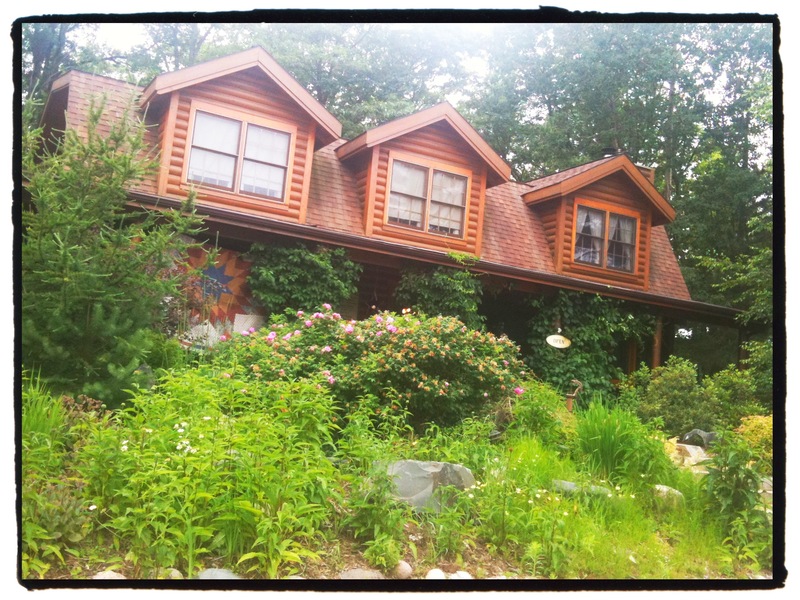 The Quilt Cottage & other tales from up North! My family started taking annual summer trips to Minocqua, Wisconsin long before I was even born – my dad’s family started going when he was a kid. We spend more than a week residing in lakeside cabins with a large group of our closest friends. Ideal Minocqua days are spent water skiing, boating, kayaking, jet skiing and swimming in the lake; Evenings grilling, playing board games and passing out from exhausting, activity-filled days. 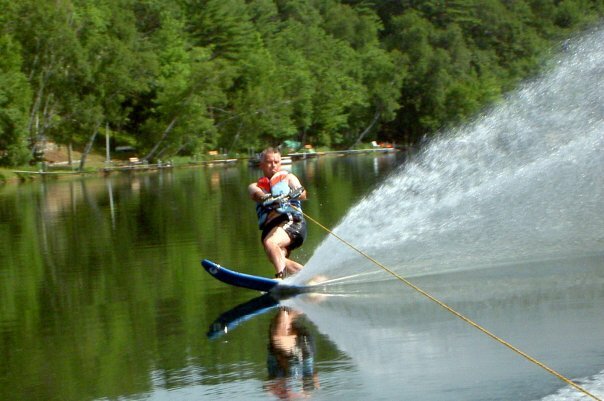 My dad is really, really good at water skiing! 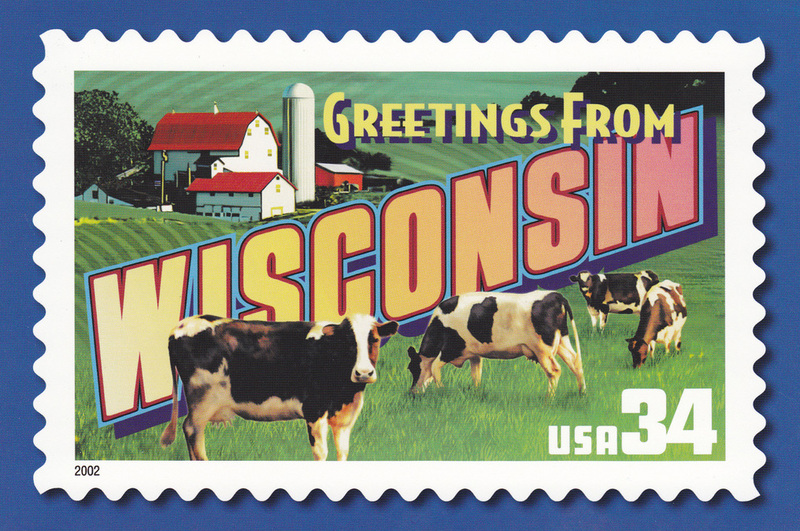 Of course, there’s always at least one dreary day in Northern Wisconsin – it’s not the Sunshine State, after all! This year, my mom and I visited The Quilt Cottage, a warm and welcoming Northwoods-y fabric shop. The store was homey and friendly, and definitely had an overall woodsy feeling. Most of the fabrics were very muted without many bright or bold colors. 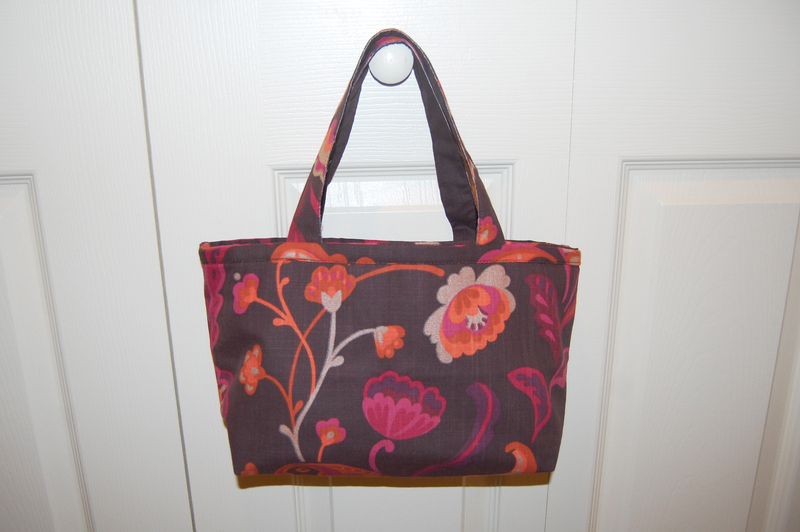 I spent a lot of time checking out the small selection of bag and purse patterns. I liked more than a few of them, but I refrained from getting any knowing how many patterns I have sitting at home! Even though I didn’t purchase anything, it was interesting to see how regional differences can affect the overall tone of a fabric store. Now that I’m back from vacation, I do have a rather large scale sewing project in the works, but as usual – it’s top secret and I can’t write about it until it’s finished! Of couse, my “to sew” list is pages long, so hopefully I’ll have a new project to write about soon. Although not completely responsible for my month-long blogging absence, my vacation preparation and recovery time have definitely taken a toll on my sewing adventures this past month. What have you all been up to? Scary Stretch Knits & “Something Wearable” Suspense! 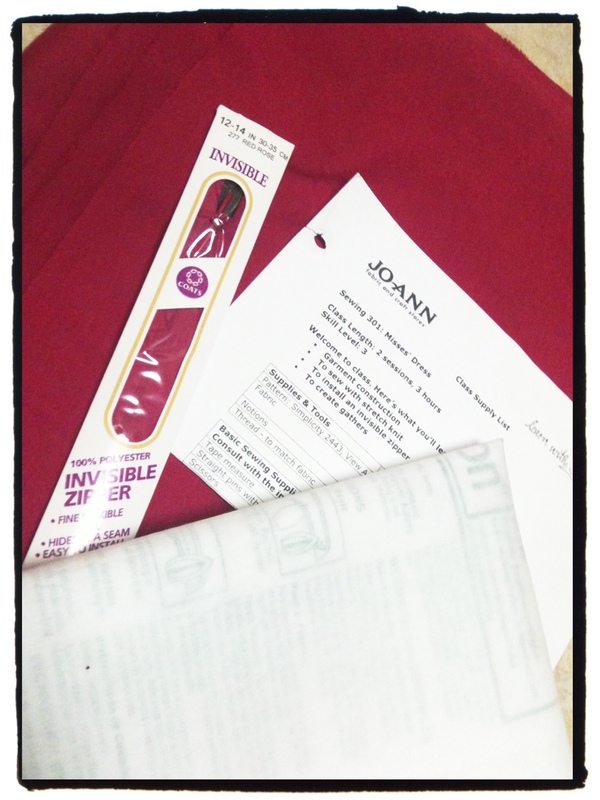 Yesterday I bought most of the supplies that I’ll need for my upcoming sewing class at JoAnn’s – Sewing 301: Misses Dress. It was hard to decide on a color, but I finally decided on a fuchsia stretch knit. I’ve only had one experience with stretch knit in the past, and it was INCREDIBLY disastrous – so it will be interesting to see how this turns out with the help of a professional. Right now, I avoid stretch knits like the plague, so I’m a little scared, but I know I’ll be incredibly excited and proud if the end result is even a partial success. Crossing my fingers! 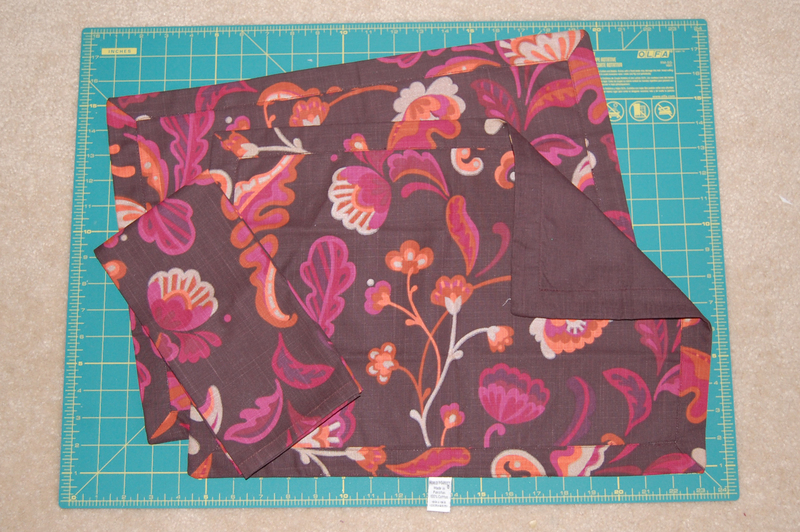 Fabric, interfacing, invisible zipper and supply list! Still need to pick up thread and the actual pattern for class. On a side note, I noticed that the classes in July and August will be making a different dress than the one I’ll be making in my June class. The dress that is being offered in July and August is not my style at all. I’m so grateful I took the plunge and signed up a few weeks back! What’s next? Pre-wash my fabric, purchase the rest of my supplies and then just wait. The “Countdown to Something Wearable” continues! I hope everyone is having a magical weekend. I know I am! 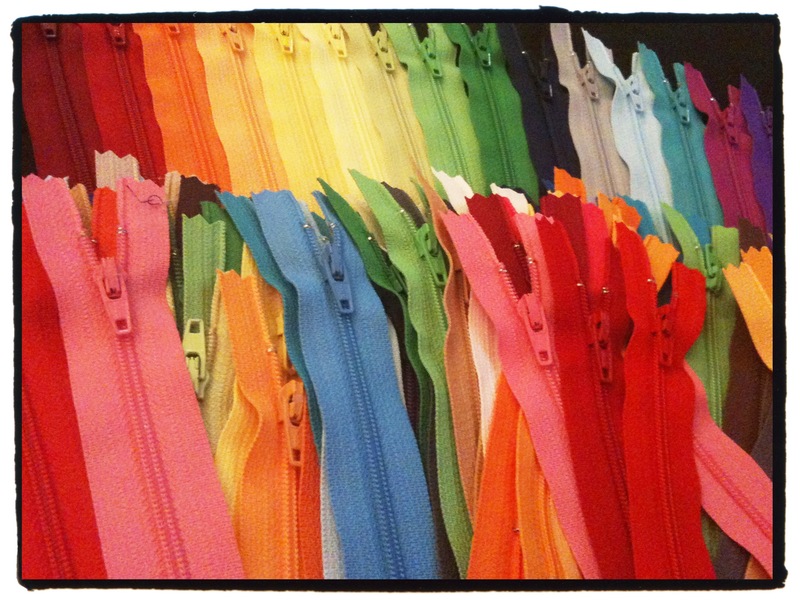 Multi-colored zippers are really, really appealing when arranged in beautiful rainbow-like formations. This ZipIt Etsy shop has some magical zipper prices. After my jewelry roll success, I decided it was time to splurge and purchase an array of zippers to keep at my fingertips. That way I won’t have to run to the store every single time I need a zipper, which will likely save me money in the long run. This is a familiar scenario: I need one zipper. 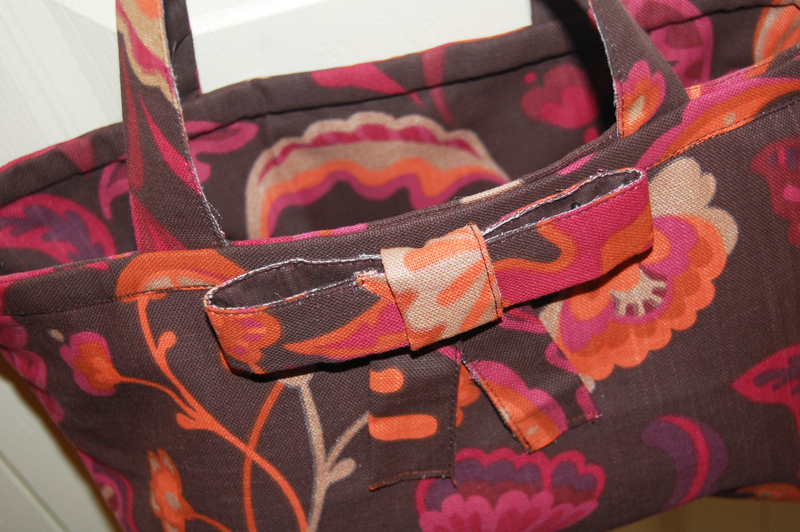 I come home hours later with about three hundred unnecessary sewing accessories… and one zipper. I normally pay around $1.99/zipper at the fabric store. 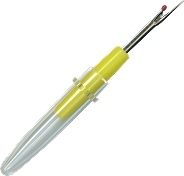 But for $31.00 total, which included shipping costs, I ordered 100 zippers in a variety of colors and sizes, which made each zipper only 31 cents each. AND… I ordered these beauties on May 9 and received them on May 11. Wow. WOW! First project on the list? A zipper pouch to hold all of these zippers! 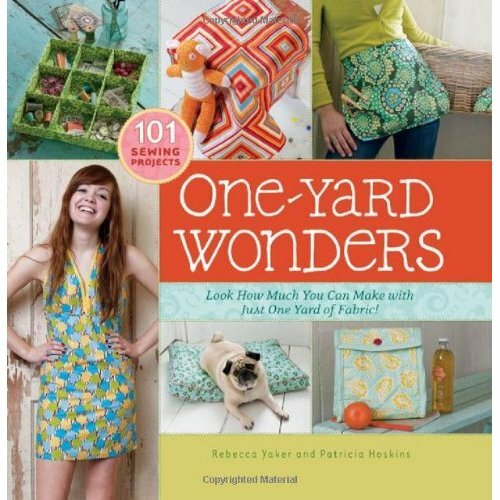 One Yard Wonders: 101 Sewing Projects; Look how much you can make with just one yard of fabric! by Rebecca Yaker and Patricia Hoskins, complete with a packet of patterns inside! I hope everyone had a magical weekend! 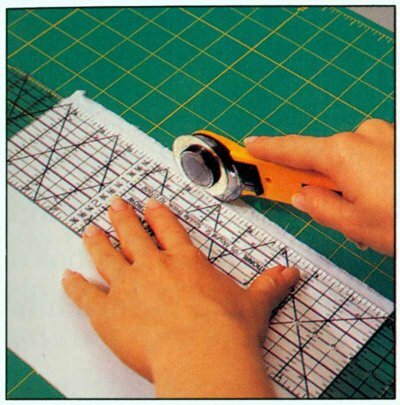 Sewing is for the birds! 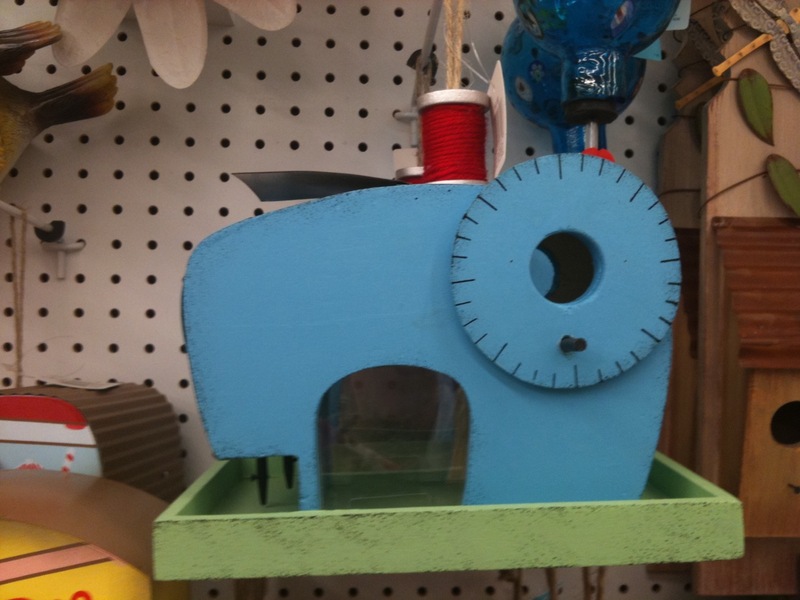 As seen recently at JoAnn Fabrics… a sewing machine birdhouse! Since I live in an apartment with no trees to call my own, I passed on this one. But I couldn’t walk away without at least taking a photo!